L to R: Graham McFarlane, Barry Smith, Don Burke and Noel Forsythe. The Natural Gas were from Wellington, but like a lot of groups around at that time, they didn't last too long. They were a hard-edged blues band who suffered from a shortage of suitable venues at which to play. 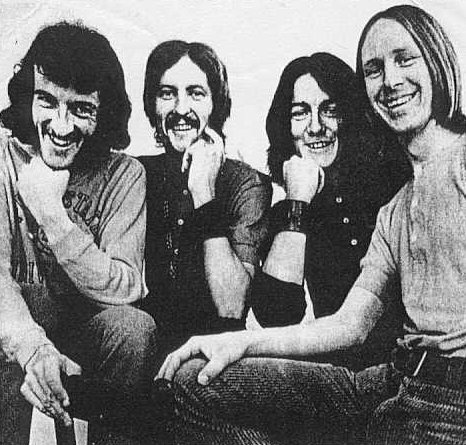 The group rose from the ashes of the Breed in 1969. They did have the honour of winning the Wellington heat of the 1970 Battle Of The Bands competition. There was only one single produced by the group and that was "Come On Down Girl"/"Lucille" on the Thyme label in 1970. The single was banned by Radio New Zealand because of its suggestive lyrics and even with the banning publicity, the single failed to sell. Don Burke was a member of Blerta in 1971, and was later to emerge in Australia in the seventies as a guitar player of some note.